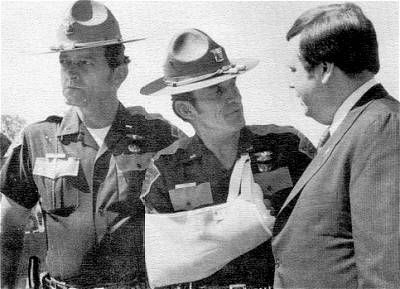 LT. HOYT HUGHES, center, GETS A WARM GREETING FROM GOV. DAVID BOREN during funeral services for one of the three slain troopers. Lt. George Day, Size and Weights Division, is at left.